If you support local food and farms this itinerary is for you! 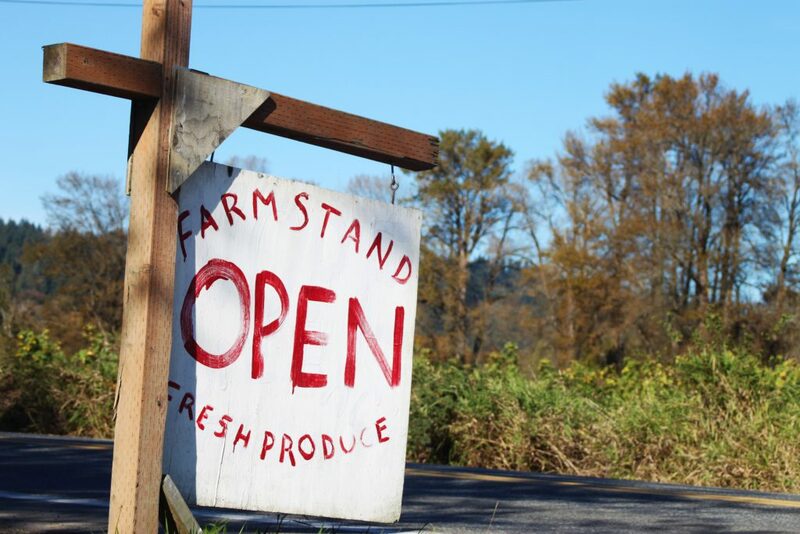 Enjoy this locally sourced trip from Duvall to Carnation and back enjoying fresh farm to table fare and bringing home local produce, honey, fiber and more! Bike or walk along the Snoqualmie Valley Trail from Duvall to Carnation and enjoy the nine miles that pass through the scenic farm fields of the Valley. Start your day in Duvall with a warm beverage and yummy baked goods from the Grateful Bread. While you’re at Grateful Bread, pick up local honey from Stella Street Honey, Walk down NE Stephen’s Street to get to the Snoqualmie Valley Trail and travel south. After about a half mile take the trail to the left and head up to Longevity Foods for a fresh-pressed juice, smoothly or pro-biotic beverages. Head back down to the Snoqualmie Valley Trail and continue your journey south. Enjoy the historic barns and pastoral landscape as you make your way towards Carnation. At 124th St take a short off trail jaunt to visit Local Root’s Farmstand and pick up some local veggies to take home. As you Continue south on the Snoqualmie Valley Trail, you will pass through more farm fields and wildlife refuges as you head to Carnation. It is an easy, flat, 2 hour walk or 30 minute bike ride. Take at right onto Entwistle street in Carnation. After three blocks take a right onto Tolt Avenue, then travel two more block to Carnation Cafe which offers seasonal dishes made with local products. After lunch enjoy wandering downtown Carnation. Be sure to stop in at the beautiful Tolt Yarn and Wool a neighborhood knitting and spinning shop with beautiful natural fibers including Snoqualmie Valley Wool. Walk a couple doors down to Miller’s Mercantile to find all sorts of farmy gifts like bags, t-shirts, cookware, artwork, coffee mugs and more. Stop by Evil Roy’s elixir for a taste of local spirits! After you gather your treasures head back to Duvall for a lovely indoor or outdoor meal at the Grange Café, where the menu features many of the region’s best ingredients, including vegetables, cheese and dairy, and the highest quality meat and game available. Notes: If you have your arms full you can catch the Valley Shuttle back to Duvall.